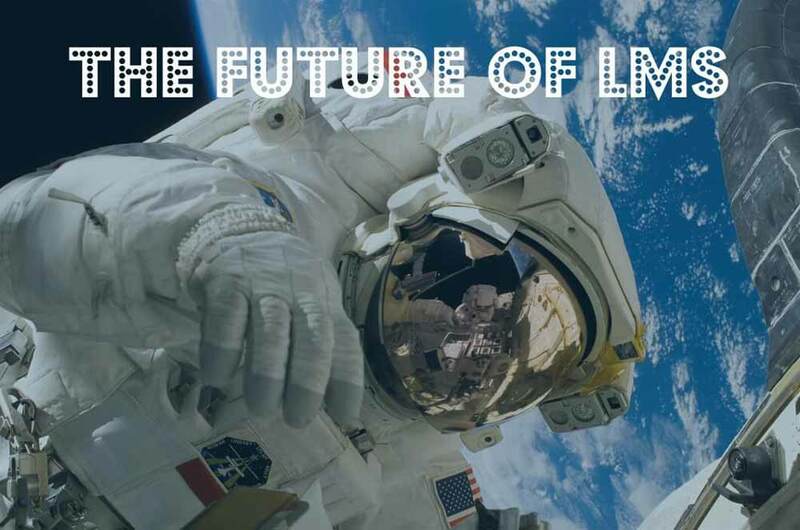 The Future of the LMS – Where Are We Going? down the road from some of these grand musings and green field possibilities, it is important to look back and evaluate what we as humans have actually accomplished. Most of these science fiction professionals have taken various swings and unfortunately missed the mark horribly. With the exception of some authors who were able to write so brilliantly that they were able to shape the future, just through the power of their influence. I do not claim to be that influential (or for that matter brilliant), so I will abstain from a grand speculation as to where the industry will be in 2116; instead, I will look at the not so distant horizon. We currently live in a time where almost anything is possible. If you shop around the internet, you can have a hover board in your possession by no later than two days from now, in some locations, it can be in your hands in under 30 minutes and it could have even been delivered by a drone. Cars are beginning to drive themselves, and augmented reality and viable virtual reality is beginning to make its way into our lives. The future is bright and full of potential technical advancement, included somewhere within that progression is a small segment for Learning Management Systems and how they are already trending towards something completely different. In the Learning and Development world training has migrated from solely instructional and self-taught. To completely accessible without time requirement, electronic, as well as mobile learning platforms. The LMS is vital in organizing these different types of learnings, as well as shaping the way in which you interact with training and development content. What’s New with the LMS? In the not so distant past, the concept of social learning was but a dream in the eyes of LMS providers. A simple question of “How can we get our department to motivate one another? As well as find a way to get our entire workforce to have a similar knowledge base? Without huddling everyone up in a room and taking away more time from our organizational directive.” As such the LMS evolved, giving employees the opportunity to work together on modules, evaluate courses they are taking, and directly interact with each other in learning options. These are all a huge step forward, but, we have only begun to delve into the possibilities of social learning. Companies are now starting to realize the interrelations of social media platforms and the ability to carry over some of the training and development to after hours, as well as using public badging as a reward, allowing for employees to proudly display some of their accomplishments externally. Live documents have made an appearance in some realms allowing for people to not only share an assignment, but make changes on the same verbiage from across the world, while interacting, providing positive feedback, and communicating department intentions across a variety of mediums. Included in these mediums are the most profound areas of immediate future development; including live video communications of recent lessons learned, and Twitter-like company hosted microblogs allowing for instant collaboration on experienced issues and a uniform platform to encounter future issues of that type. The concept of “funifying” learnings is here and an integral part of a modern learning approach. Walking the floor at an ATD conference is a real eye opener as to what the current market possibilities are. That being said, the platforms in which these games are being built are constantly evolving, giving designers better graphical capabilities, smoother operations, and in general more robust offerings. Gamifying learnings is an incredibly unique approach that demands the attention of a user when executed appropriately, the learning output can be on par with just about any other manner of knowledge transfer in existence. E-learnings are here, and they have been here a while. It seems that even agency based Marketing firms are jumping on the developmental platform, and that is a very good thing. Content is king, good content can be the make or break foundation of a great Learning and Development program. Gone are the ways of sending your employees off to week long boot camps, instead blended learning environments are becoming the norm. E-learnings have transitioned quite well into our daily lives. Exhibiting themselves as simply as short videos explaining a single rudimentary function, to enthralling multimedia expressions of complex business theory exercises. But, where can they go from here? E-learnings at this moment of time are one of the most exciting aspects of the Learning Industry. College courses have been developed in practical application and people in the space, in general, are buzzing with all the possible innovations they can come up with, constantly looking around the corner at what their next possible media for delivery could be and how that will affect the learner. Some recent ideas that are currently exciting developers are the inclusion of Virtual Reality and Augmented Reality environments. Making the Learner feel like they are completely immersed in the learning environment. Knowledge is everywhere and the future of how we obtain it is quite bright. Mobile eLearning content is possibly some of the most under-utilized in the field. M-Learning is here and getting better every day. For the business professional on the go, spending 100+ days on the road, there is now the ability to stay up to date on product changes and advancements that have never existed before. Learnings are being built for a variety of platforms, and with the inclusion of tablets and smartphones, we can truly begin to get more out of our workforce in segments of downtime. As smartphones and tablets constantly evolve, the abilities of the content can as well, causing for a bright future of smarter on-the-go instructional design, and app creation which can make apps as quickly as the educational program at your organization requires. Along with M-learning comes the potential for the newcomer on this list. Microlearning is a relatively new practice with enormous potential. Reducing long form learnings to hammer the same message across again and again, down to a segment less than five minutes, is not only practical but a highly efficient usage of LMS technology. As the art of creating microlearnings becomes more and more defined, so does the potential for advancement of this concept within the learning industry. Imagine a course of a single large eLearning, supplemented by a succession of a few well-crafted and poignant microlearning exercises on an employee’s phone as they are embarking on a long cab ride away from a trade show. Microlearnings are already more accessible than previous iterations of learning due to their brief nature, and could be a real game-changer when it comes to aiding in the timely completion of course materials. From the beginning of the LMS industry, it has always been important to monitor the success of Training and Development campaigns. This has sort of culminated in programs calculating their ROI based on program certifications and sticking with those figures over time. However, as the industry and technology advanced so did the methodology and availability of great data. The ability exists now to measure every facet of a user’s learning experience, a conglomeration of the sum of the learning program, and the effectiveness of each and every component of the program. From a statistical perspective, we have more information now than we know what to do with. Program managers pick their favorite metrics and apply them to their weekly updates and for the most part, we in the industry are missing out on the incredible potential in this field of metrics. In the near future, a “Money Ball” –esque revolution will completely change the manner of which we approach training. Easier to understand filters and practical algorithms will invigorate program leads and allow for a new measure of program, course, class, and single learning component effectiveness, leading to a general shift towards stronger organizational based metrics. In summary, the immediate future of the Learning Management Systems industry is full of innovation. With a potential to completely change the way in which our organizations learn, it is best to keep your ear to the ground to figure out what is coming. So, it is imperative you join us as we continue to explore upcoming market trends and possible new technological breakthroughs here at the Gyrus blog.